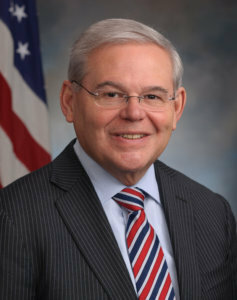 New Jersey senator Bob Menendez wished many Indian Americans on the occasion of Navratri this year. “Indian-Americans have contributed mightily to our society and economy, and made our communities and state better places to live. At this time of year, we join with our Indian-American friends and neighbors in the annual celebration of Navratri,” Menendez is quoted saying in a press release. “During this holiday, I hope everyone of all faiths comes together, embrace our cultural diversity, and celebrate a time of peace, joy and prosperity. Have a happy and safe Navratri,” he added.